For those of you who have been following this blog since we started it two years ago, you know we’ve been on a search for the right publisher for our wild and crazy roadtrip through Supernatural fandom and our equally wild and crazy forays behind the scenes of Show. Well, we’re thrilled to say that we’ve found the perfect partner in University of Iowa Press – Fangasm the book will be hitting the shelves in 2013! We hope you’ll get a kick out of our story as we roadtrip across the US and Canada to conventions and concerts and theater productions and shooting locations, getting to know many of you and sharing the squee in person. We also take you with us behind the scenes at the studio and on set, as we ask Jared, Jensen, Misha, Kripke and the rest of the cast and crew our own brand of unusual questions (and get some surprising answers!) We somehow manage to get ourselves into far too many embarrassing situations as we juggle our job as researchers and our passion as fans, and to occasionally make fools of ourselves in the process, but we trust our readers won’t laugh at us TOO much – okay, who are we kidding? Laugh away. But we think you’ll also find yourself in Fangasm, as you follow our story of discovering Supernatural and falling headfirst into fandom. More great news we want to share! 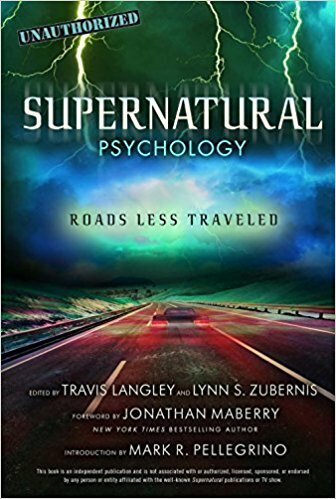 We’ve got another book on Supernatural coming out in 2013 – a collection of fascinating essays on the Show and its fans for the book series Fan Phenomena, from Intellect Books. We’re so excited to have Supernatural included in the top fan favorite shows of all time, alongside Buffy, X Files, Star Trek, Harry Potter, and Doctor Who. Show deserves to be there, right?? And we’re thrilled to have Misha Collins and Richard Speight Jr. contributing to the book! And even more news! Our first book on Supernatural, Fandom At The Crossroads, will be out in paperback soon, so check back for news on when. And follow us on Twitter @FangasmSPN – we’ll be tweeting from the cons in Dallas, Toronto and Chicago, and will keep you posted on all our book news and interviews. Come tweet us a hello! Woo hoo!!! That is wonderful news, I am so very happy to hear that and can’t wait to read it. Thank you ladies and congratulations! Thanks Amanda! We’re so excited!!! Thank you!! We’ll keep you posted! Oh, I’m so excited and happy for you! I loved your first book, read it several times before passing it on. The way it was written took me back many years (35yrs, yikes) to my college days, and I have to say, that part was fun also. So thanks twice!! Congrats on the book! 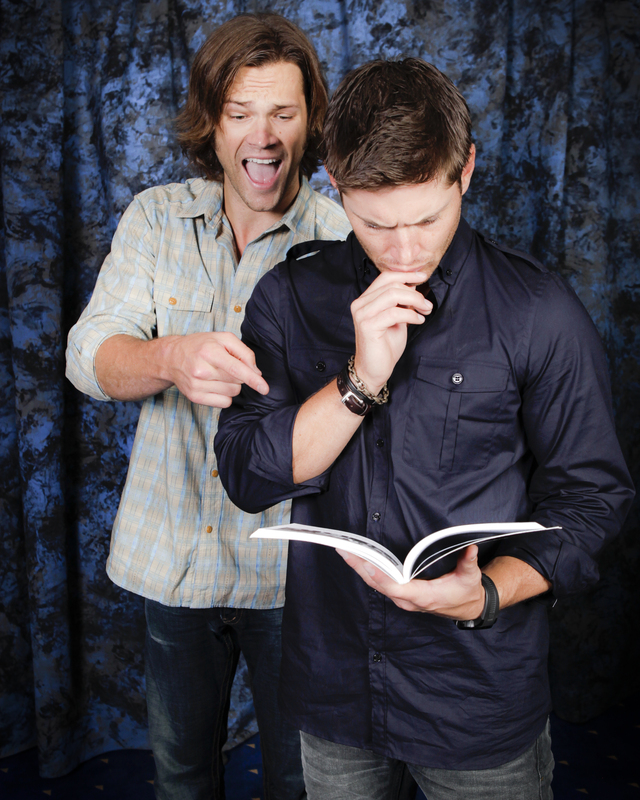 And I doubt any of us will be laughing…as we all know how serious this obsession over Supernatural is! Yes, it is fun and the guys can be goofy and maybe to outside eyes we’re a little crazy, but it’s all because our little show warrants it! I love that you’ve been there behind the scenes on set and in the audience at Cons and just in your living rooms watching. I trust you’ve captured the essence of Supernatural, its cast and crew and the fans…in other words the Family of Supernatural! Thanks for giving us a book that covers the whole amazing experience. Can’t wait to read it! – B.J. Great news! Fandom at the Crossroads was fascinating, but I am also looking forward to Fangasm for the emphasis on the fan part of acafan. Your blog is wonderful and I love the way you approach this remarkable show and it’s fandom. You go, girls! What wonderful news! It’s always a delight to read your entries here, understanding fully the crazies that our family embraces. Looking forward to the book. Absolutely, our fandom family embraces the crazy (and the awesome) 🙂 Thank you! now where is the like and share button ?! As someone who doesn’t go to cons, but loves Supernatural dearly, I’ve so enjoyed reading your posts. I can’t wait to read Fangasm, and finding out that there is going to be an essay book AND a paperback edition of Fandom at the Crossroads is so exciting! Everyone involved with this project (including the cast) seems really lovely. The cast — and pretty much everyone we’ve met in the years of writing these books on the Show — is genuinely lovely. That the fandom is equally lovely really makes our writing projects a pleasure. So glad you’re along for the ride!